Pizza Teddy Bears - were first created by Doggie Cakes in February 2010, for sale at the Sweetheart Waddle (Bassett Hound event in Brooksville, FL). They have been a hit wherever we travel and sell Doggie Cakes. 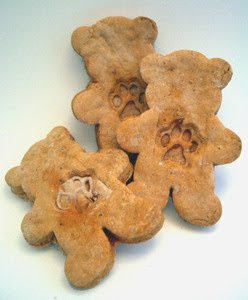 Starting today, these dog cookies are now available at DoggieCakes.com. We offer 24 of these for $9.99. Gluten free flour for your sensitive pet, and hand made by Trina. People always tell us how tough their dogs are with toys. For many heavy chewers, toys don't stand up to the test. Our favorite solution is just about any toy by Fat Cat. The canvas is tough, they come in shapes that are great for tug games or for your dog to slam around. The secret is in the material but also in the stitches that are contained on the inside of the toy. There are no items to pull off and no stitches to rip out. Just great! We have many options in our online store. 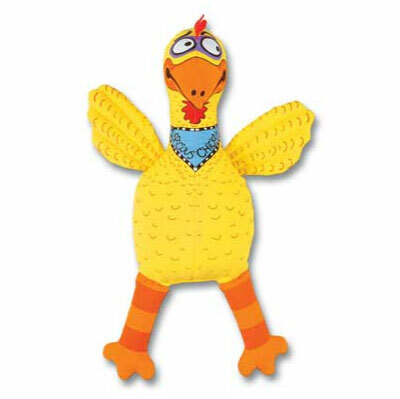 Bossy Cat- Snooty Cat; Bird Crackler; CatFish Crackler; Frog Crackler; Skunk Crackler; Floppability Barnyard Bullies - Chicken; Mini Puppy Teethers - Cat; Tractor - Dancing Dog - Wheels Toy; Mini Dog Toy - Pitch a Porcupine; and many others. Visit us at DoggieCakes.com for these and other great items for your pet.